Synopsis: Former Secretary of Defense Donald Rumsfeld narrates his life with special focus on his early political career and the Iraq War. Truth. It's something that a cliche-artist type would say is what they are searching for. 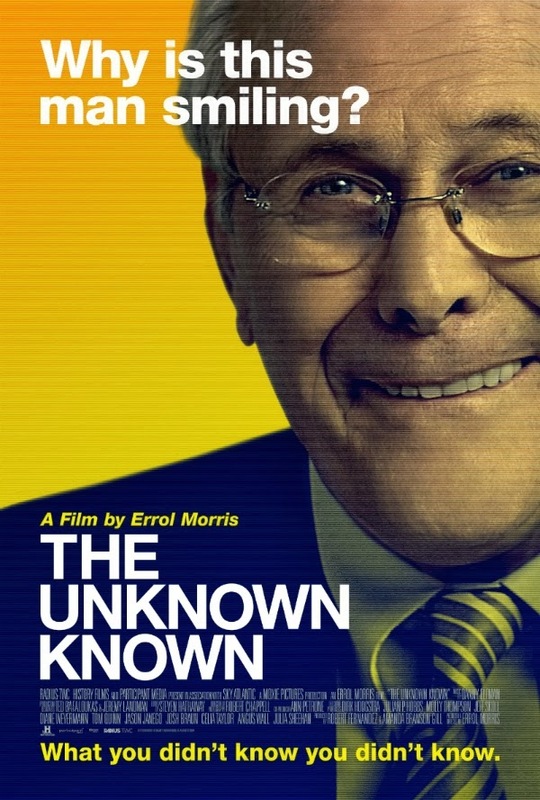 Errol Morris is one of those people, and while most other people would try to search for truth in feelings and other avenues, Morris choose to look for it in the most unlikely of places, former Secretary of Defense, General Donald Rumsfeld. 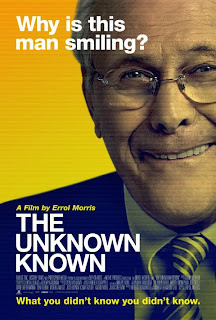 In the movie, Morris questions Rumsfeld about his early career, his marriage, and eventually about the events after 9/11 and the War on Iraq. We get to see exactly what the former politician thinks of one of the most significant events in the modern era, and just how he remembers his version of facts as the actual truth. Documentaries about politics very much have a stigma attached to them. You basically have to come into the movie pre-disposed to its point of view. This film is definitely taking into account a more liberal point of view, and depending on where you land on the political spectrum, this is a fascinating take on what some have called a megalomaniac. Morris is very clever in the way that he portrays Rumsfeld by having Rumsfeld personally retell his younger days in the military, and of particular note is the way that he talks about his relationship with long-time wife, Joyce Pearson. He very sweetly talks about all of their years of marriage, their engagement right before he left for the Navy and everything else in between. A glimpse into his personal life helps give a well-rounded picture of the man. Something equally interesting is his smile which Morris shows off a lot. He is given many opportunities to be likable and actually came off as a guy you wouldn't mind sharing a beer with. The movie becomes much more interesting whenever Morris turns the conversation to the Iraq War and Rumsfeld's subsequent firing. In hindsight, his recollection of the events is completely different from how most people even think about it. It's easy to see how one could be deluded to the point of not knowing what's real and what isn't. That's the fundamental point of the movie. Truth is not a solid concept, but rather, it's fluid. Whether it's right or not, we can actually change our truth by telling ourselves our version of the events and that will become your own personal truth. "There are known knowns; there are things we know that we know.There are known unknowns; that is to say, there are things that we now know we don't know. But there are also unknown unknowns – there are things we do not know we don't know." The last part of that quote is Rumsfeld's main point during the movie that helps him justify every slightly shady thing that he was a part of. By saying that there are things that we don't know we know, it's a credo that has encouraged the whole Iraq War where no actual evidence of WMDs was actually obtained. The movie is so entirely fascinating for showing many sides of a man that has been maligned for much of his political career and has been called Machiavellian. The documentary is well paced, and Rumsfeld's story-telling abilities make the stories of politics interesting to listen to. There are also some very well shot transitional scenes that add some variety for what would be just a "talking head" documentary. This is a must-see for anyone with a passion for politics, history, and the truth.